Happy New Year's Eve! I can't believe this is the end of 2012...I just can't figure out where it went so fast. So who has big plans for tonight? Since I've been fighting a cough and fever the past week, and I have a fear that hubby might be coming down with the same, I don't anticipate us doing much this evening. If we make it to see the ball drop on TV, I will call it a successful evening! 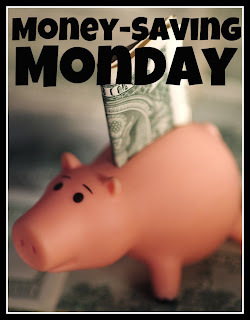 With all of the Christmas preparations in the month of December, I've fallen behind on the Money-Saving Monday posts. Since (according to the stats) it seems like this is one of the more popular posts each week, I'll work hard to get back on track. So, on Christmas Eve, my daughter and I were working on some cards in my craft room, when she sat back and looked around for a few minutes. Hubby had recently put up some new shelving, since my desk was being over-taken by stuff, and was getting hard to work on. My daughter decided she was going to proclaim me a crafting hoarder, and thought that I might need an intervention! I explained to her (again) that I rarely bought anything for myself...people just know how much I appreciate crafty goodies when gift giving times come around, and I'm also pretty lucky about winning things. I pointed 10 things out right off the top of my head that I had won. She rolled her eyes, and that was the end of that conversation! Later, I REALLY took stock of how much paper I have, and I have to admit, I may have just blushed a little. Its getting pretty bad! And it got SO MUCH WORSE after I went to the Quick Quotes warehouse sale (twice!) a few weeks ago. I got hundreds of 12 x 12 sheets of double-sided cardstock, and several cases of photo mats, strips and borders...yes, CASES. I have myself convinced that I have everything displayed so that I can basically see what there is, but I think I'm in denial...I'm starting to find stuff that I forgot I had! 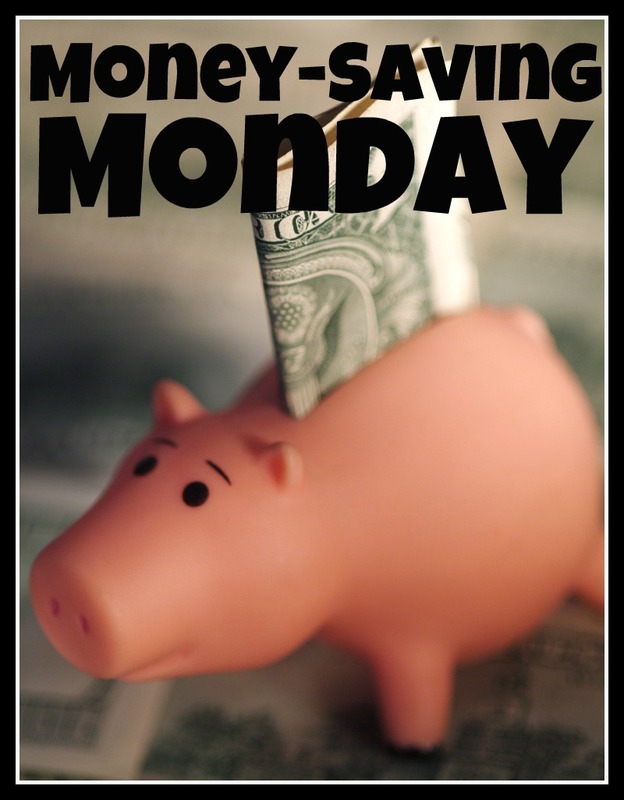 So...this is going to be a two-part Money-Saving Monday. I've decided to start working on making page kits for myself. I'll explain a little today about what I'm going to do, and then take pics and show you the fruits of my labor next week. I'm also going to be scouring the internet for tutes or videos to help give me some inspiration in putting these together, so if you know where to find any great ones, I would love to hear about them. For now, I'm going to focus primarily on my patterned paper. Those are the sheets that are in stacks that I can't readily see, so that's where I want to start. I'm planning to focus on double layouts, so I plan on finding two matching (or really close to matching) sheets of patterned cardstock for my base pages, and then 2 - 4 sheets of coordinating paper for photo mats, die cuts, and layers. I'm going to go through my jar of ribbon scraps and ends (that I always forget about) to try to match up ribbon for each kit, and then also look for matching brads. I also keep my flat embellishments (bling, extra die cuts, etc) in page protectors inside of three ring binders, so I plan to go through those as well. If I have any specific photos in mind for a particular page kit, I will toss those in the pile as well. When I'm done, I hope to have a series of packaged page kits that I can thumb through, choose one, and then whip out a layout in no time. If there's leftovers in the kit, I'm guessing I will even be able to throw a card or two together since everything is already color coordinated! Now, I'm obviously not going to be able to to this with ALL my paper (unless I'm planning to build a storage shed out back, haha!) but I'm setting a goal for 5 - 10 kits on my first go-round, so we'll see how that works out. Keep your fingers crossed, wish me luck, and next Monday, I'll let you know how things are going and be ready with some helpful tips so that you can make your own page kits too. Oh I am really looking forward to seeing your page kits! I too am very lucky at winning scrapbooking stuff at this point I have to start using it! Hope you feel better and that you have a Joyful New Year! good luck with the hoard!